Recipe For Jack Daniel’s Whiskey Was Actually Invented By a Black Man -- A Former Slave! Jack Daniel’s is a very popular whiskey and alcoholic beverage that people all around the world have been drinking for more than 150 years. But many people are not aware of where this famous whiskey came from and who invented it. The truth is that the recipe was actually created by a former slave named Nathan "Nearest" Green. According to Gabriel Scott, historian and author of The Chosen Ones: Perception of Malcolm and Martin, a well-respected Black history lecturer, Jack Daniel was a white man from Tennessee who managed a distillery for a businessman named Dan Call. Nathan Green was Dan Call’s slave. Historians, the company, and Jack Daniels himself (in his 1965 biography) have all confirmed that it was, in fact, Nathan who showed Jack how to make the whiskey. Even more, he was made the head distiller for the company in 1866 - the same year the company was officially launched. And many descendants of Nathan Green were made employees, and have contributed to the growth of the company for several decades. 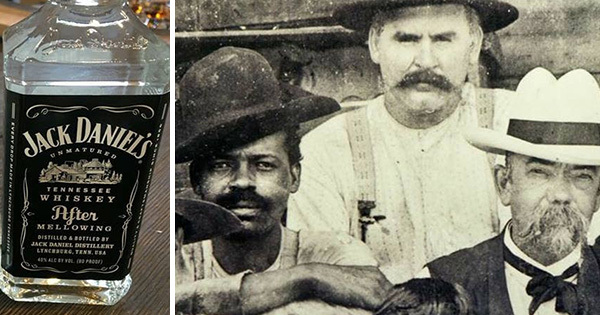 Jack Daniel has been credited for many years for starting his successful beverage empire, but it was a Black man who created the actual recipe and taste that so many people have loved to drank for more than a century.